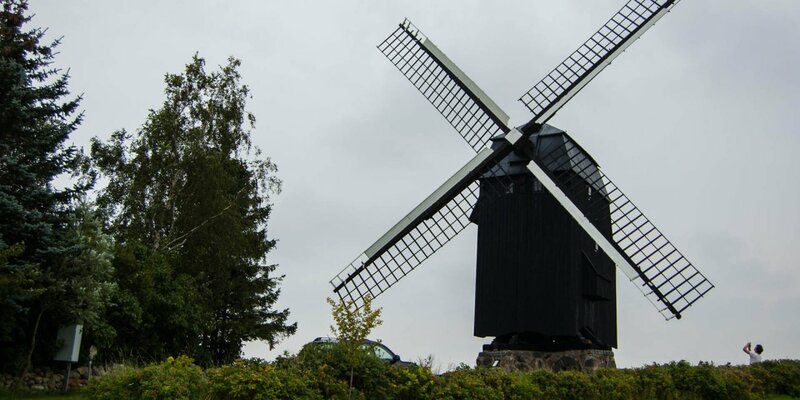 The windmill Stora Hammars Mölla was built in 1868 by Per Jönsson and is located east of the town Höllviken. 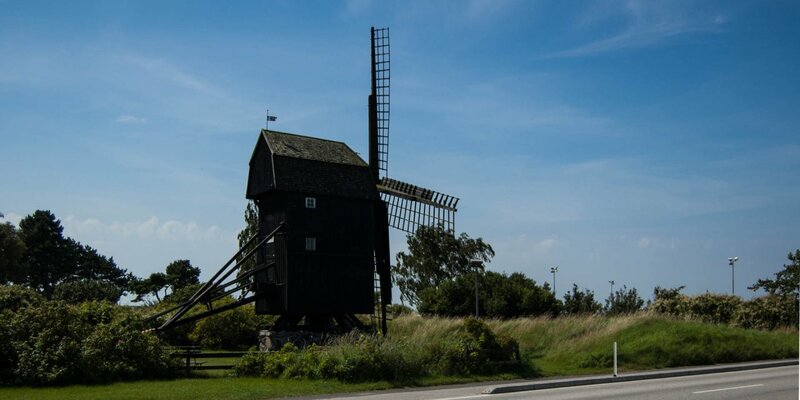 This windmill is a so-called smock mill. 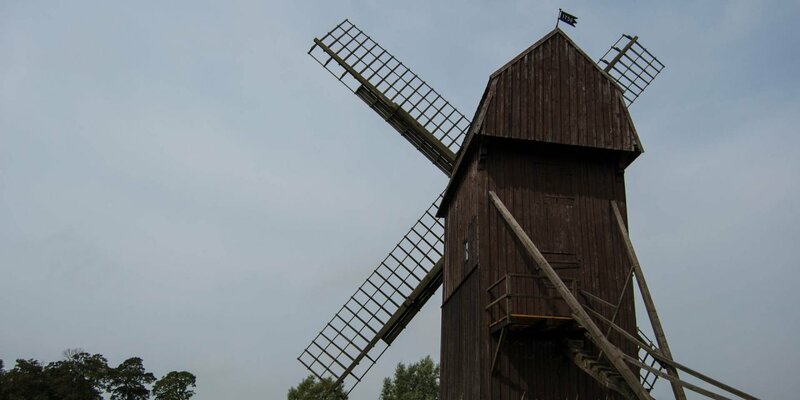 In this type of windmill, the wings are mounted on a rotatable cap that is on top of the mill tower. A long time before the present mill was built, there was a predecessor at this place. A post mill is mentioned in 1569. The present mill was in operation until 1941 and was sold after it was closed. After only a short time in private hands the mill became municipal property. 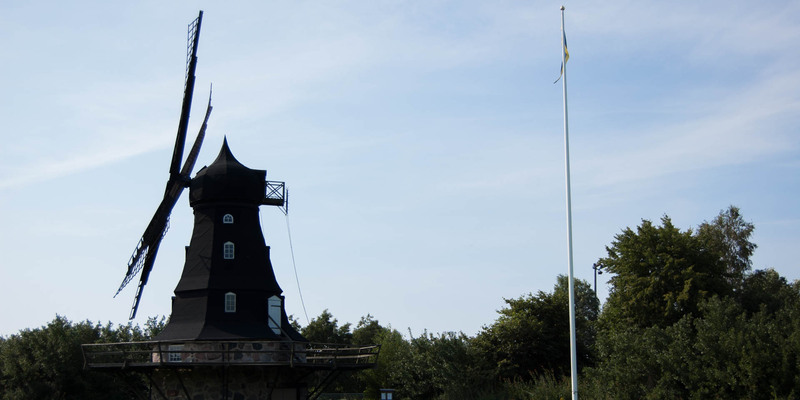 Since 1990, it belongs to the Stora Hammar mill association. The association began to restore the mill in 1993 and completed the restoration five years later with the re-opening of the mill. At the annual mill day, the mill is put into operation and the mill association also celebrates its Midsummer party here.